of white bread Cindys, Susies and Anns. marriage, dying love, illicit passion, betrayal. 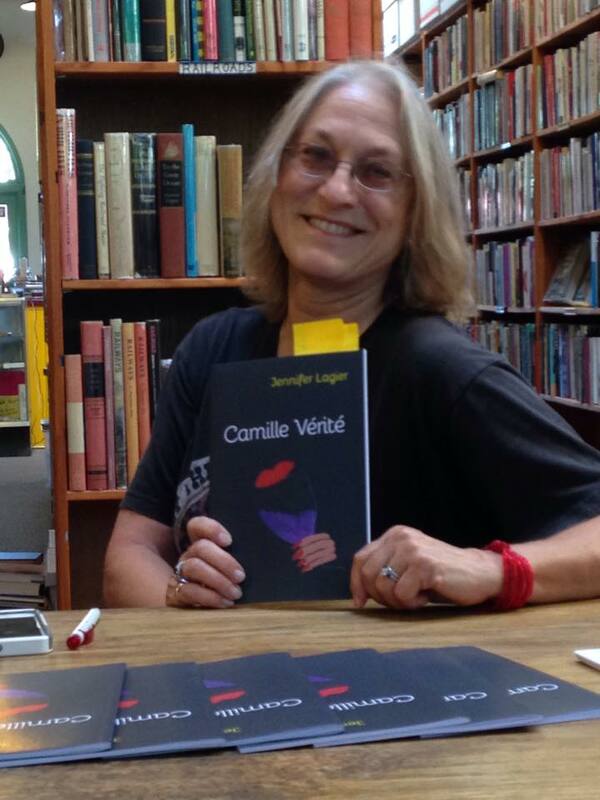 PHOTOGRAPH: The author at a book signing for her poetry collection Camille Vérité. NOTE FROM THE AUTHOR: I’m a former storyteller who is fascinated by myth and legend, especially Arthurian legends and the persona of Guinevere. I wasn’t aware, until recently, that Jennifer is actually a variant form of the name Guinevere. It was eerie discovering the parallels in our similarly dysfunctional love lives. ABOUT THE AUTHOR: Jennifer Lagier has published nine books of poetry and in a variety of literary magazines and anthologies. She taught with California Poets in the Schools and is now a retired college librarian/instructor. Jennifer is a member of the Italian American Writers Association, co-edits the Homestead Review, and maintains websites for Ping Pong: A Literary Journal of the Henry Miller Library, The Monterey Poetry Review, and misfitmagazine.net. She also helps coordinate the Monterey Bay Poetry Consortium’s Second Sunday Reading Series. Visit her website at: jlagier.net. What a beautiful, meaningful, courageous poem. I loved it!